Proton Pump Inhibitors, Commonly Prescribed for Acid Reflux, and Available Over-The-Counter Have Been Implicated in Dementia, May Damage Arteries, and May Cause Kidney Failure. Making Matters Worse, This Could Have Been Foreseen. To advise “use sparingly” would be an understatement. A better one would be “use proton pump inhibitors only if what it is going to cure is worse than dementia, damaged arteries, and kidney failure.” The best advice is “do something else,” and there are numerous alternatives. What Is a Proton Pump, and What Happens if it is inhibited? The stomach is highly acidic. This is critical and, like most bodily functions, is tightly regulated. And as is almost always the case, disruption of the regulation lead to unexpected consequences. This seems to be a lesson that the drug industry appears unable to learn, or is unwilling to. OK enough medico-political digression. There are several mechanism than can be tampered with in order to alter stomach acidity. 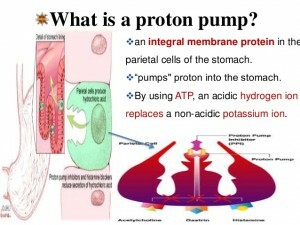 One such is an action of the stomach cells to inject hydrogen ions, also known as protons, right into the stomach contents. These protons are very active and immediately increase the acidity. This injection process is called a proton pump, and the proton pump inhibitors work be entering the cell and disrupting this process. Now, while altering stomach acid has its own issues (more in a minute), the proton pump inhibitor drug doesn’t act directly on the contents of the stomach. Instead, it gets into the bloodstream, and hence has access to every cell in the body. This is effectively a license for side-effects, it’s just a matter of which ones. After twenty years we now have a fairly long list that includes increased risk of infection, nutritional deficiencies, reduced absorption of B12, increased risk of osteoporosis, kidney problems, here, and finally, reported here, a 44% increase in dementia. That study was association, but another study has found cause: proton pump inhibitors cause garbage to accumulate in cell walls. This one-two whammy ought to be the end of proton pump inhibitors, and in fact, the FDA actually issued a warning in 2010, based on what was known then. With all the new and scary information, why doesn’t the FDA at least yank the over-the-counter version, if not all the other incarnations. This will remain yet another of that agency’s unfathomable mysteries. Stomach acid is so strong that it dissolves glass. Because of this, it is quite rough on bacteria, which we ingest by the trillions along with our food. Almost all of them are eliminated. Food is broken down as well in this warm acid bath. Excess stomach acid is problematic for those suffering from acid reflux as well as those with ulcers. However, there are other ways to deal with this. More below. If stomach acid is reduced, fewer bacteria will be killed, meaning more bacteria=more infections. Stomach acid also breaks down food to make many essential nutrients available, reduced acid=poorer nutrition. These are the direct effects. However, the drug can and does get into every cell, and weakens the cell wall. This general deterioration, though hard to measure, is clearly undesirable. In fact, the most vulnerable areas are now emerging: the brain and kidneys. However, as time goes by and more data is accumulated, there is no reason to believe that the list will not grow. Acid reflux is almost always linked to increased intra-abdominal (belly) fat. Even skinny people may have excess in that department. 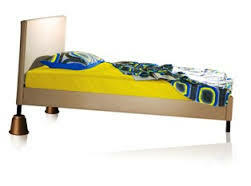 Many things can help: Raise the head of the bed or sleep on several pillows. Eat a big breakfast, smaller lunch, and even smaller early dinner. Eat recipes from Eat Real Food or Else. (Sorry for the shameless plug, but it will work.) Stop coffee by 3PM. Keep in mind most gastrointestinal reflux disease is a PM event. If medication is a must, the H2 blockers, Zantac for instance, are less toxic. Behavioral changes should be the primary issue. Smoking can be an issue. Alcohol relaxes the gastro-esophageal junction and allows reflux. So alcohol is a big culprit. Train like a champion and live like a monk will do it too. Suppressed bodily functions tend to rebound when the suppressor is remove. So quitting proton pump inhibitors “cold turkey” may cause an acid level that is temporarily above the level the body thinks is correct. This will straighten out in a fairly short time. In any case, it is worth finding a formula that works, as proton pump inhibitors seem to be causing widespread problems. I have to take Tecta for 6 months, how dangerous it is this medicine?